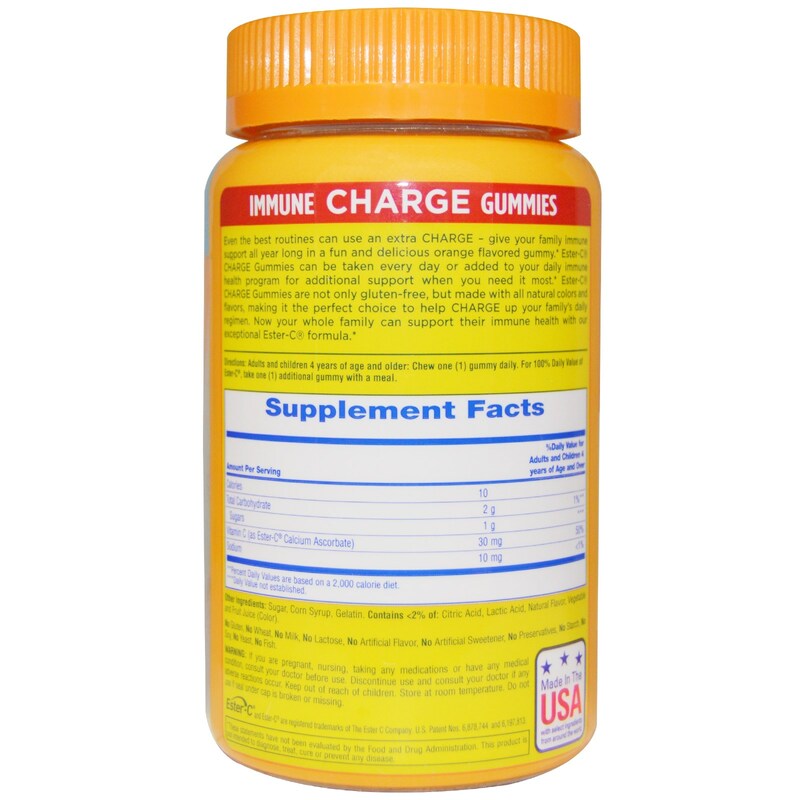 Even the best routines can use an extra Charge - give your family immune support all year long in a fun and delicious orange flavored gummy. 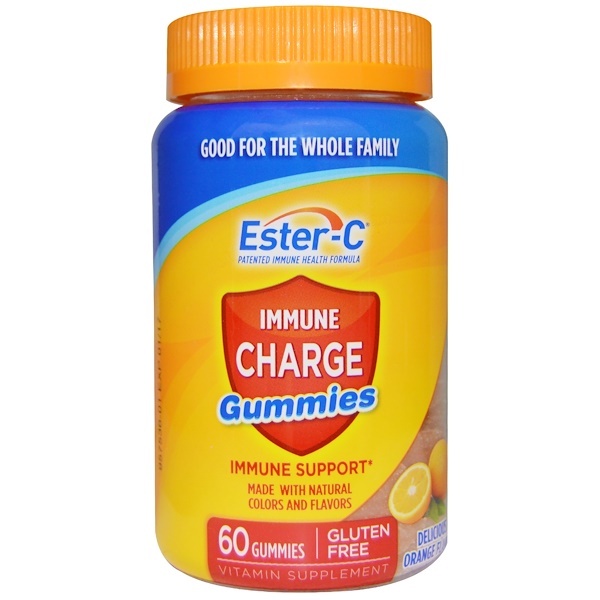 Ester-C Charge Gummies can be taken every day or added to your daily immune health program for additional support when you need it most. Ester-C Charge Gummies are not only gluten-free, but made with all natural colors and flavors, making it the perfect choice to help Charge up your family's daily regimen. Now your whole family can support their immune health with our exceptional Ester-C formula. Enjoy the benefits of Ester-C every day! Adults and children 4 years of age and older: Chew one (1) gummy daily. For 100% Daily Value of Ester-C, take one (1) additional gummy with a meal. Sugar, corn syrup, gelatin. Contains <2% of: Citric acid, lactic acid, natural flavor, vegetable and fruit juice (color). No gluten, No wheat, No milk, No lactose, No artificial flavor, No artificial sweetener, No preservatives, No starch, No soy, No yeast, No fish.